Business localization could be hard to understand at first glance so here is a short definition along with some reasons why businesses looking to expand to other nations should use localization services. If you have a business and you want to expand it to other countries, there are many things you need to keep in mind. First of all, you will need a plan to enter the market of that country. Secondly, you will need an army of sales representatives who will promote your products in that particular nation. Lastly and most importantly, you will need a translator who can give you business localization tips for that specific country. But it is not so easy to do that, just look at what the U.S. Department of State says. According to the U.S. Department of State, their firms lose more than fifty billion dollars in potential deals every year due to issues with translation. For worldwide companies business localization is an important step to success in a foreign market. Most end-clients want to read a user manual or a brochure in their native tongue as opposed to English, because for them it is a 2nd or 3rd language. Business localization services will be able to perfectly localize a product or service to a specific market and culture. Indeed, an item that is perfectly localized will seem like it was initially created in that nation. 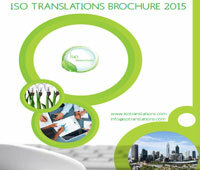 The localization procedure empowers your organization to enter new markets. In numerous nations, dialect hindrances and patriotism keeps the clients from using English as a replacement of their own language. For instance, in China, most of the end-clients are not fluent in English and require translation in Chinese. In Germany, a large portion of the locals additionally communicate in English. But they also favor their product items to be translated into German. This is where translation and localization is able to give you a hand, as such issues are only going up and showing no sign of stopping any time in the future. Business localization additionally empowers your organization to be reliable in non U.S. markets. By localizing a product in a nation’s local dialect, your organization passes on a trust for the way of life’s history and traditions. This effort on your part also show that doing business there is exceptionally significant to you and you are devoted to addressing the necessities of the majority of your clients. As the name suggests, the World Wide Web allows the world easy access to your organization’s website. A monolingual website is no longer a viable solution. A multilingual webpage is a must-have part of your organization’s worldwide showcasing technique. 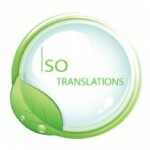 Business localization services open a new perspective for you: internationalization of your company at a global level. The main advantage of business localization is that it allows you to expand in whatever market you want and help you take advantage of the otherwise lost potential that market has.